Briefs: Design weekly deals and product launch emails. Responsibilities: Design on brand emails briefed from CRM team that follow the email template guidelines. To source and use new imagery or adapt creative from masters in a way that suits both mobile and desktop email formats. Outcomes: Delivery of completed and signed off artwork files to development team on time. 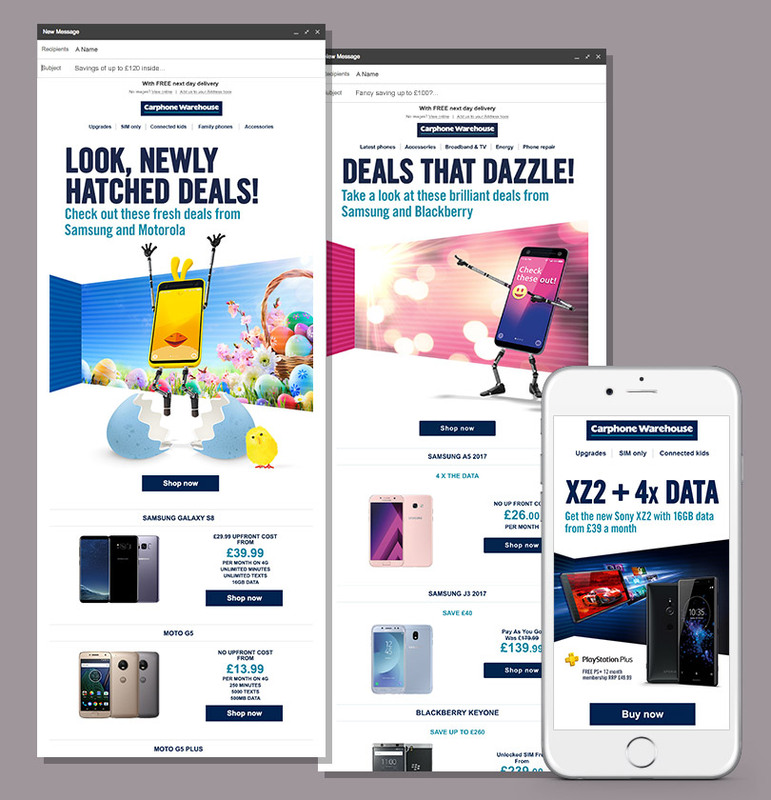 Carphone Warehouse email designs for deals of the week and product launches.